The Lord Mayor has a deep and abiding professional interest in shipping, and so he was thrilled to be able to curate an event so close to his heart. In this introduction, The Rt Hon, The Lord Mayor Lord Mountevans lays out the importance of the Maritime industry to the City of London and to the nation as a whole. The Lord Mountevans took office as the 688th Lord Mayor of the City of London on 13 November 2015. Born in Gothenburg, Sweden, and Cambridge-educated, he has worked in the City since 1972 when he joined Clarksons as a graduate trainee. He is now a ship-broking executive and managing director at Clarksons shipping, and has been a familiar figure in the City since he was appointed Sheriff of the City of London Corporation in 2014. 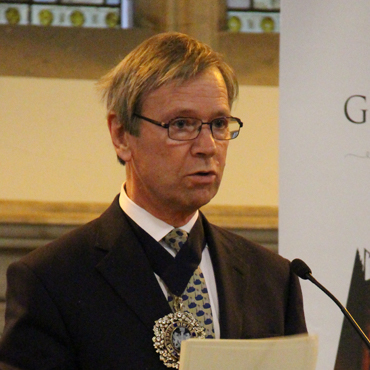 He became Lord Mountevans of Chelsea in December 2014 and has said he would make innovation the theme of his year-long term: "Innovation is a key part of London&apos;s success, not just in my field of maritime services and logistics, but also in other important world-beating sectors of professional services, skills and education." He aims to celebrate the power to innovate and drive things forward to help create more wealth and jobs, not just in London, but also across the UK and Europe.